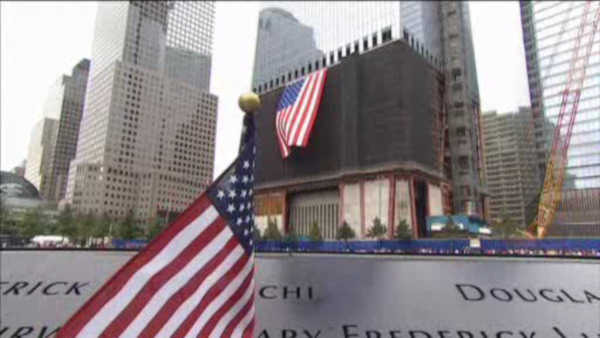 A tourist from Texas was arrested over the weekend on charges she was packing two loaded handguns at the Sept. 11 memorial in New York City, authorities said Monday. According to a criminal complaint, Elizabeth Enderli was visiting the site Saturday when she informed a police officer she had the weapons in her backpack. She was charged with criminal possession of a weapon before being released Sunday. The name of her attorney was not immediately available. However, friends and family told the New York Post that the 31-year-old military veteran has a permit to carry weapons in her home state. Enderli mistakenly believed the permit covered her visit to New York from the Houston area, they said. But rather than getting to see the lower Manhattan landmark, she ended up spending a night in jail after asking where she could store the pistols - 9mm and .380-caliber semi-automatics - while there, they said. "Our husbands don't give us a hug and a kiss - they pat us down to make sure we're armed," said Aimey Richardson, a friend who made the trip with Enderli. "We're not allowed to go out without them." Enderli was ordered to return to court Aug. 28.